Hello again lovely readers! 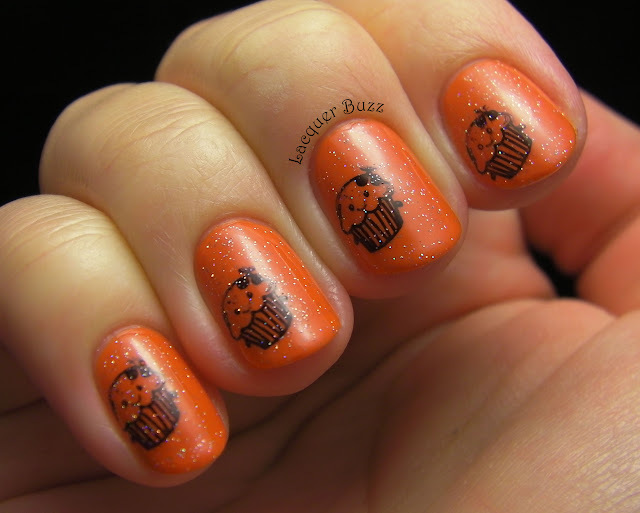 It's time for another nail art from the Girly Girl challenge and this week's theme is a sweet one. 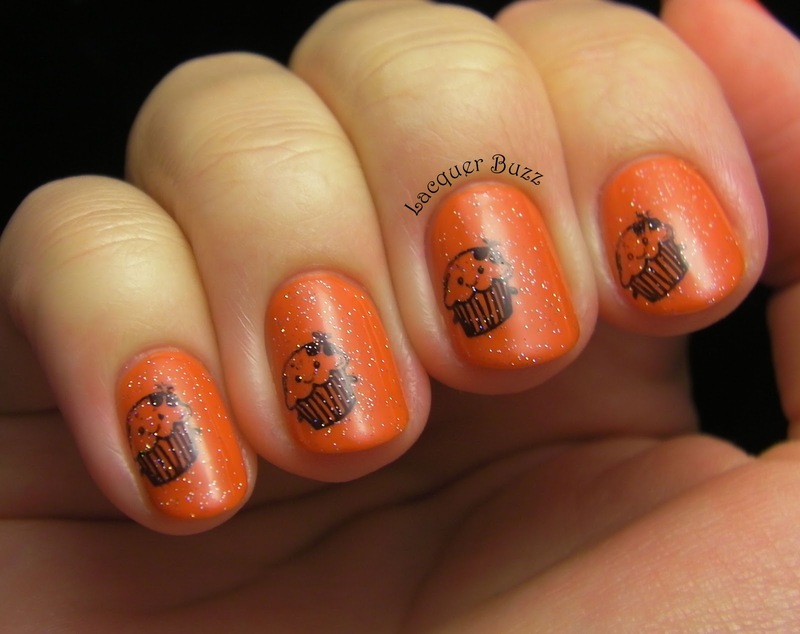 But instead of doing something candy inspired like these nails I did last spring, I decided to do something more fall appropriate. So I picked up some pumpkin colored polish and got to work. Here's the result. 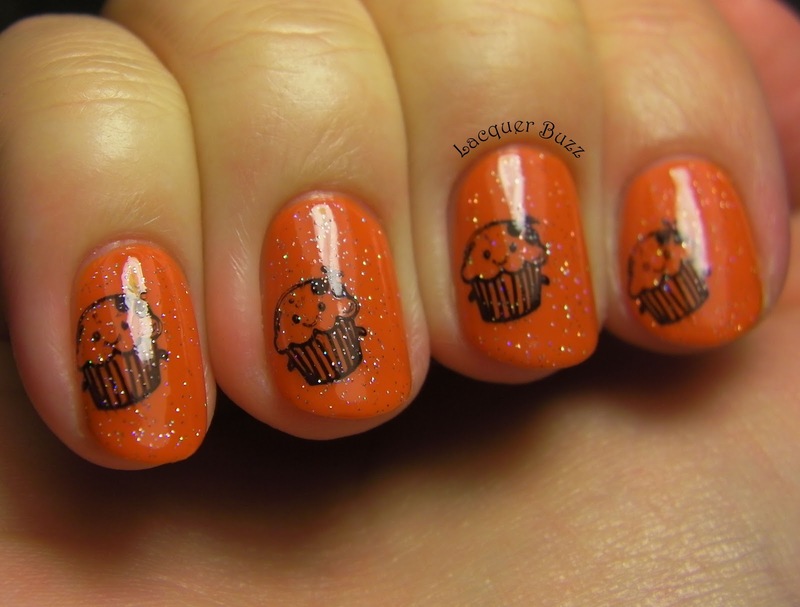 I call these my pumpkin cupcake nails. Aren't they cute? 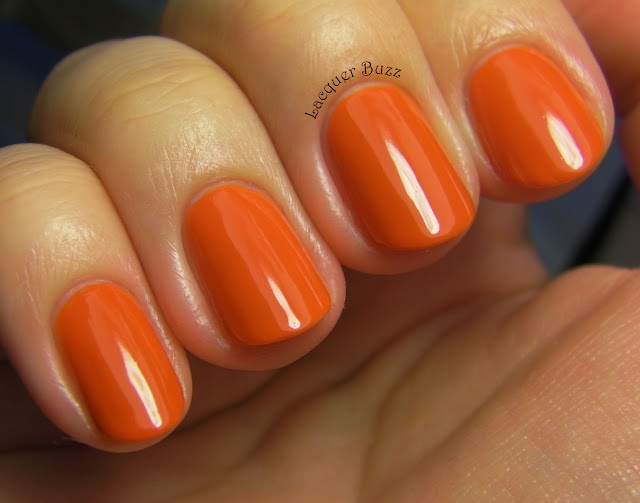 I was looking for a pumpkin colored polish for a while now and I picked this one up from Flormar about a week ago. It's number 42 from their Supershine line and it's definitely a bright type of pumpkin color. I know that Flormar cremes are amazing and this one did not disappoint. It has a perfect formula and went on like butter. I did 2 coats and no top coat for the swatches below. One coat of this covers pretty well, but there was still a bit of visible nail line so I had to apply a second one. It dried fast and very very shiny. You can see how shiny it is in the following picture. I can't wait to layer some flakies and glitters over this because it's such a great fall creme. But this time I stamped some cute cupcakes over it. They come from plate CH16 and I stamped them with my go-to black, China Glaze Liquid Leather. I added a coat of INM Northern Lights top coat for some extra sweetness. Thank you for reading! Don't forget to check out what the other participants have come up with for today's theme! Thank you! I really wanted to use them when I saw how cute they were. This theme was perfect for that.